CTIV’s accomplished Sunshine Coast data cabling technicians, professionally trained directly by the manufacturers, have a minimum of five years experience in the telecommunications industry. Regardless of manufacturer, CTIV technicians are skilled at installing all types of cable. A step above the rest! CTIV installs data network cabling cat5e, cat6, cat6a and optical fibre in the Caboolture, Sunshine Coast and Gympie areas. 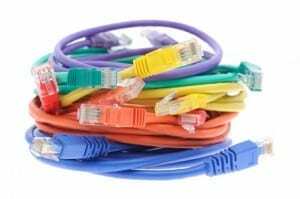 CTIV is a TE Connectivity certified installer and can offer up to 20 years warranty on data network cabling. CTIV uses only the best data testers and fusion splices like the fluke DTX1800 CableAnalyzer, fluke DTX-CLT Certifiber and the Sumitomo type 39 fusion splicer. And best of all … our data cabling technicians clean up after themselves! We are very proud of our work and you will be glad you hired us. Bottom line, we treat your office like it was our home. It has to be good enough for us to be good enough for you. Don’t believe us; read what our customers say about us! Upon completion of the station outlets, all cabling is tested to industry standards. All cable pairs will be tested end to end. All voice cable will be tested for continuity, potential grounds, shorts, and reversals. All data cables are tested 100 MHz ,250MHz, 500MHz. If requested, all data cables can be certified and all test documents will be provided for your company records. Please be sure to include your phone number in the message if you'd like us to call you back. CTIV has managed the cabling and communications for Sunshine Coast Medicare Local (SCML) since the organisation’s establishment in June 2012. SCML has experienced rapid growth in staff and business turnover during this time and CTIV has provided excellence in service, design and advice. Bill Heath is professional, solution-focused and reliable, and we rely on his expertise to help us manage the communications needs of this fast-growing company. Bill Heath (CTIV) has provided Caloundra Christian College with years of high level professionalism and service. From small jobs such as programming phones to cabling our new Resource Center and installing Fiber Optic between buildings, CTIV have done it all, been very cost effective, prompt and professional with their service. Bill Heath (CTIV) has provided communications technology support for the Sunco Group for over ten years. During this time Bill has been involved in major projects including the installation of phone systems and network cabling for our recently constructed Holden and Hyundai dealerships in addition to ongoing maintenance. Bill has extensive experience and knowledge in all aspects of communications and networking technology. I can thoroughly recommend Bill as an honest and reliable professional whose work is of the highest quality.